This presentation will describe how principles and methods of Buddhist psychology, when studied and utilized on their own and when integrated with the standard EMDR therapy protocol along with addiction protocols from the last 30 years of EMDR theory and practice, provide a complete system of psychotherapy that can serve as the primary modality for treating addiction and comorbid disorders in a private practice or agency setting. The implicit and explicit elements of Buddhist psychology in addiction treatment will be identified, and the implications for case conceptualization and delivery of services will be discussed. Dr. Shapiro drew upon elements of Buddhist mindfulness in her mind-body training that preceded her development of EMDR therapy. 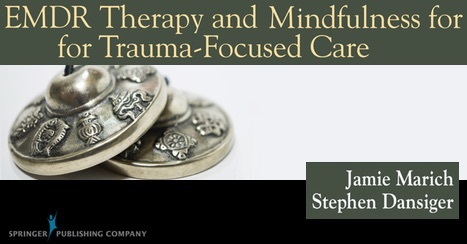 This presentation reviews this tradition to elucidate helpful strategies for affect tolerance, client preparation, and managing abreactions not covered in most EMDR basic trainings. EMDR therapists are challenged to adopt a more mindful approach in their delivery of the traditional protocol. The workshop presenters, both EMDR trainers and mindfulness practitioners/teachers, offer three steps for becoming more mindful EMDR practitioners, and contend that taking adopting this approach offers a vital link in blending research with practice and protocol fidelity with clinical artistry.